The Spokesman-Review published this Murrow News Service story by Rebecca White and Afiq Hisham on Nov. 20, 2017. 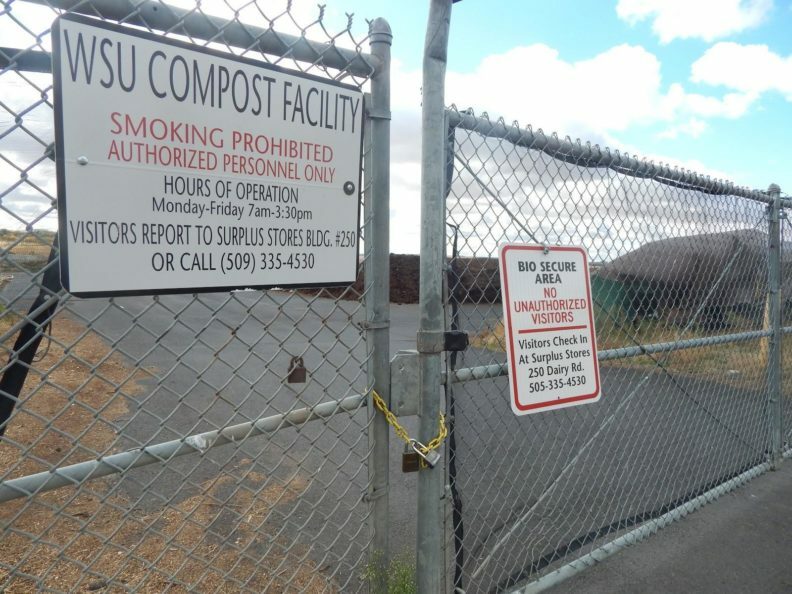 A chain link fence, a biohazard warning sign and barbed wire separate the public from Washington State University’s body composting facility. Inside, rows of material are made up of piles of bark, composted organic materials and decomposing livestock remains. Currently, only animals are buried in the facility, but it could soon be a destination for the remains of people who donate their bodies to science. Read the full story on The Spokeman-Review website.